A Star Wars Sandtrooper sergeant for your army! 5-inch tall die-cast metal action figure. Includes 20 points of articulation, interchangeable hands, and his RT-97C rifle! Features realistic sand weathering and a display base. 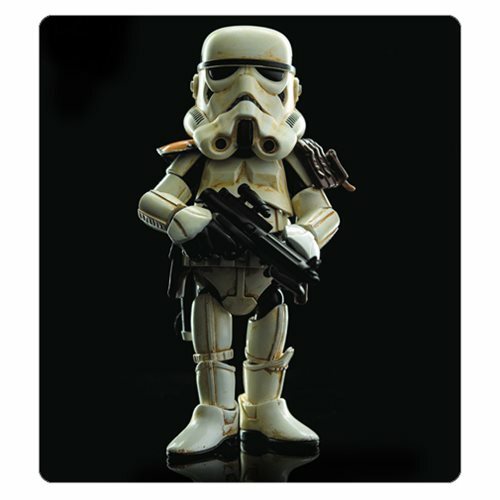 This 5-inch tall die-cast metal Star Wars Sandtrooper Sergeant Hybrid Metal Figuration Figure boasts an action body with over 20 points of articulation. Complete with 6 interchangeable hands, a special backpack, and his RT-97C rifle, this pocket-sized Sandtrooper NCO is painted with realistic sand weathering and comes with a handy base for display. Ages 15 and up.